Featuring films by a selection of new talents, this year’s lineup of shorts includes lyrical works from Turkey and Iran, a pair of brilliant shorts in French from Switzerland and Canada, and a bittersweet goodbye story from Italy. “Ruptures (or André and Gabriel)” is the last episode of this short film trilogy of love encounters. This film follows Gabriel, while introducing André, his ex-boyfriend, with whom he’s meeting by chance in Paris after 10 years. This encounter happens exactly in the moment when Gabriel is filming a documentary about break-ups. Gabriel then ends up inviting André to take part of it. Dir. Francisco Bianchi. 18 min. France. 2016. Two ex lovers meet to exchange a catalog of Cezanne's drawings. Dir. Yifan Sun. 14 min. Poland. 2016. Can and Cihan are identical twins. They live in Büyükada-Prince Island with their family. After their parents getting divorced, Can has been given to their father, and Cihan to their mother. When they finally meet, the brothers haven’t been able to come together for many years. Dir. Mehmet Tigli. 18 min. Turkey. 2016. The film challenges the banned issue of transsexuals in Iran's society. Dir. Farshid Ayoobinejad. 9 min. Iran. 2016. In Uganda, being gay is illegal. In Uganda, members of the gay and transgender community face discrimination, violence, arbitrary arrests and forced evictions simply because of who they love. But in Uganda, there is hope. 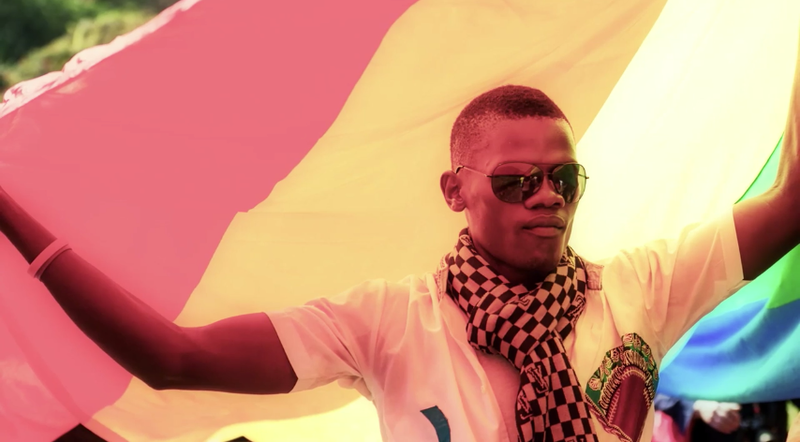 These are the voices of gay and transgender Ugandans. This is what love means to them. Dir. Katie Nelson. 3 min. Uganda, USA. 2016. A love story told on the notes of Estate by Bruno Martino. Dir. Roberto Laureri. 4 min. Italy. 2016. An animated short documentary of Taiwanese butch lesbians. Dir. Lien Fan Shen. 10 min. USA. 20106. Guillaume masturbates too often. Dir. Patrick Aubert. 3 min. Canada. 2016. A young man convinced by his hetersexuality goes back home with a girl. But at the moment they reveal to each other their intimacy, he then discover that the girl has not exactly what he expects between her legs. This traumatic discover will lead the young man into a quick trip trough his sexual indentity and gender perception. Dir. Fulvio Balmer Rebullida. 15 min. Switzerland. 2016.